The SWAMP Project was represented in the EU-Brazil Workshop on Cooperation in the area of ICT, held in Brasilia (Brazil) on Dec 6 th 2017. 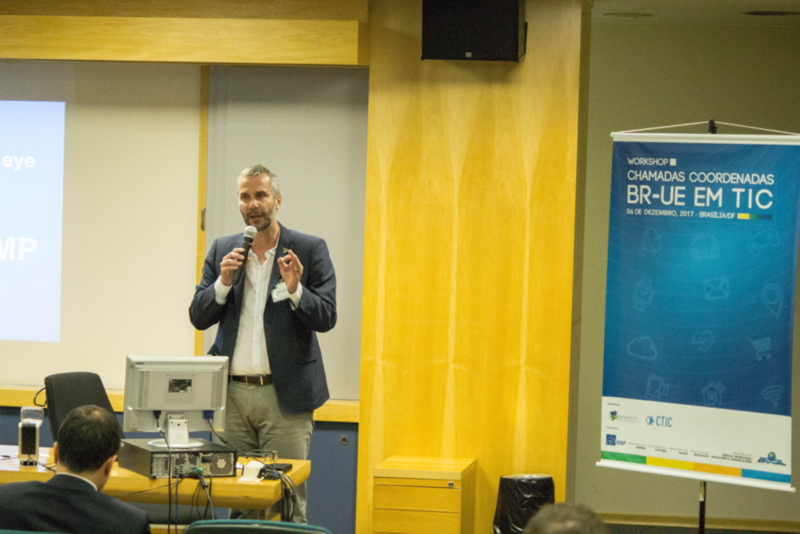 The goal of the workshop was to highlight EU-Brazil Coordinated Calls in the area of ICT. The objectives, consortium, key expected results and four pilots of SWAMP were presented by Prof. Carlos Kamienski from UFABC in the conference room. This information was also available in a poster in the coffee break area. 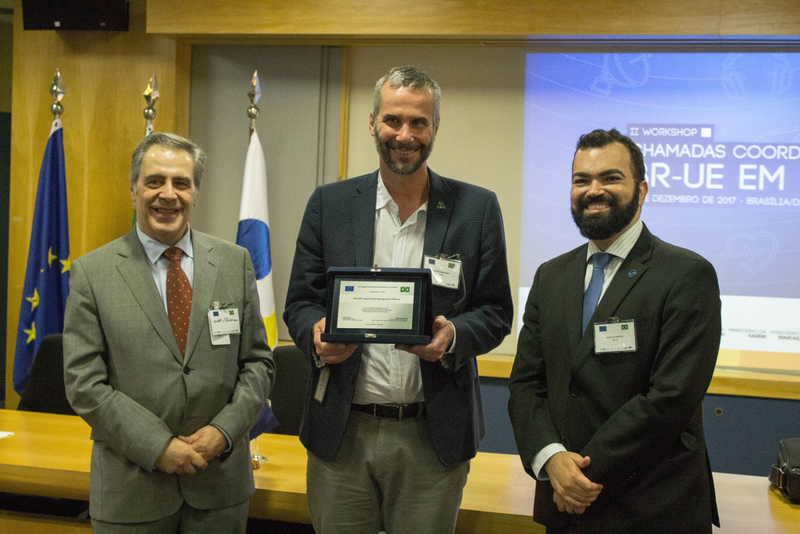 All projects selected for the 4 th EU-BR coordinated call received a certificate from representatives of the European commission and Brazilian Ministry of Science, Technology, Innovation and Communications (MCTIC). Brazil and Europe have been launching coordinated calls for the development of collaborative research projects in the area of Information and Communication Technologies (ICT), focusing on topics such as Future Internet, Cloud Computing, Smart Cities, Big Data, 5G Networks and Internet of Things. Since 2010, four coordinated calls have been launched resulting in 193 proposals submitted involving hundreds of institutions (universities, research institutes, companies, government agencies) of both continents. From those proposals, 20 were selected where each party funded 25 million euros. In Brazil, these proposals are funded by the Ministry of Science, Technology, Innovation and Communications (MCTIC) and run by RNP (the National Network of Research and Education), having the European Commission as its counterpart in Europe. The four calls were launched in 2010 (goo.gl/fpThxm), 2012 (goo.gl/XMTCfi), 2014 (goo.gl/ss4pmL) and 2016 (goo.gl/B6DVxK). Currently, projects selected in the first and second calls are already finished, projects selected in the third call are in progress and projects selected in the four calls started in the end of 2017 (including SWAMP). The outcomes in terms of research contributions and increased collaboration between Brazil and Europe have been positively assessed and therefore a fifth call is already being planned.